Bugs will eat the cucumber leaves to within an inch of survival. Japanese beetles will descend on the raspberries mid-summer and I will spend hours picking them off and dropping them into soapy water. Rain will not fall enough. Rain will flood. White butterflies will lay eggs that turn into worms that will eat the cabbage and cauliflower. 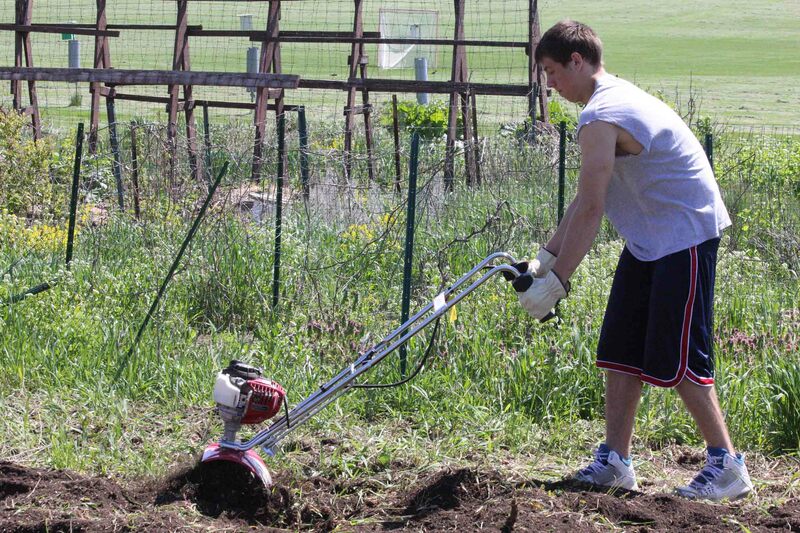 And the weeds will take every opportunity to hog the nutrients from the soil and suffocate the vegetables and fruits. Still, I cannot walk away. 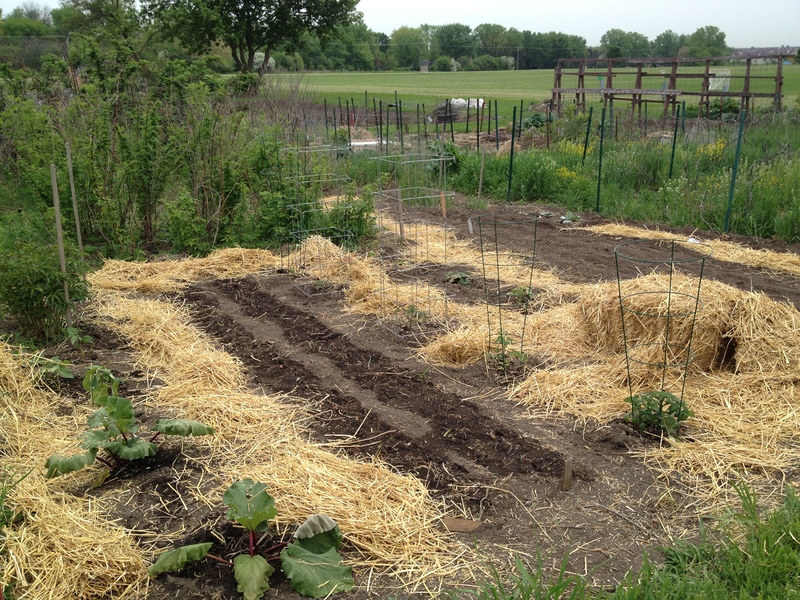 It’s hard for me to imagine an act more basic than growing my own food. In the early morning the birds chirp overhead. The air is fresh. Dew on the grass seems like a twinkle of paradise. One morning a red-tailed hawk perched so close to me, I could almost hear her breathe. She glanced casually at me and hopped over to the ground squirrel hole. She cocked her head comically and peered inside. Squirrels are hiding deep today. With a final glance at me, she lifted herself back off the ground and flew back to her nest. Maybe later. 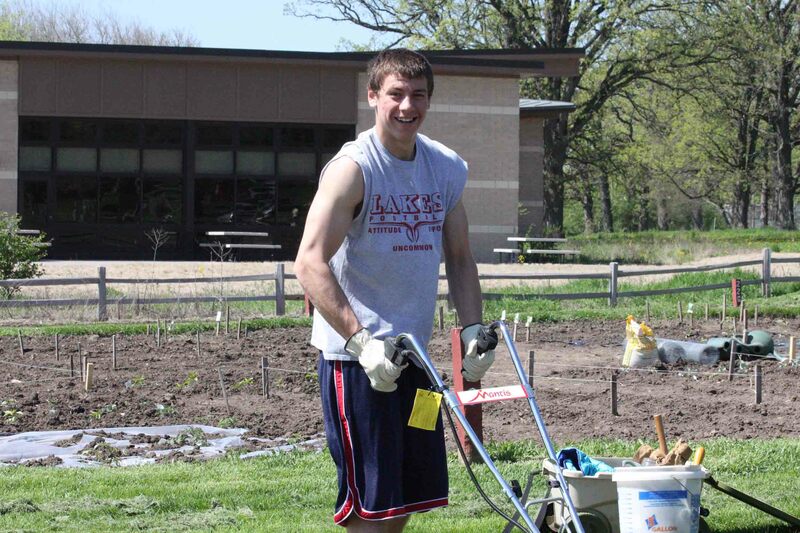 Another evening, no one was around, as I puttered and weeded. The skies were a heavy gray and the air was thick. Silence enveloped me. The raspberry branches reached for me in the breeze. I stood upright and looked to the skies. At that very moment a lone sandhill crane flew overhead. As it passed directly over me it made several warning cries. “Storm!! Seek shelter! !” was what I heard from the crane, though at the time, no words formed in my head. It was simple instinct. A moment later I saw the lightening in the distance. By that time I was already packed to go back home. Minutes after arriving a storm blew in that knocked down trees and cut electricity, causing hail and torrents of wind and rain. I have no doubt the crane was communicating. I have no doubt I got the message. Maybe nature communicates with us all the time. Maybe we’re not always listening. Maybe listening to the birds is good for us. Special thanks to my nephew for helping me to till this year. Couldn’t do it without you kiddo…thanks!! In almost any culture, crane sightings are meaningful. They are signs of joy, life, wisdom, beauty, elegance, and grace. My family drove out to see the Great Crane Migration. 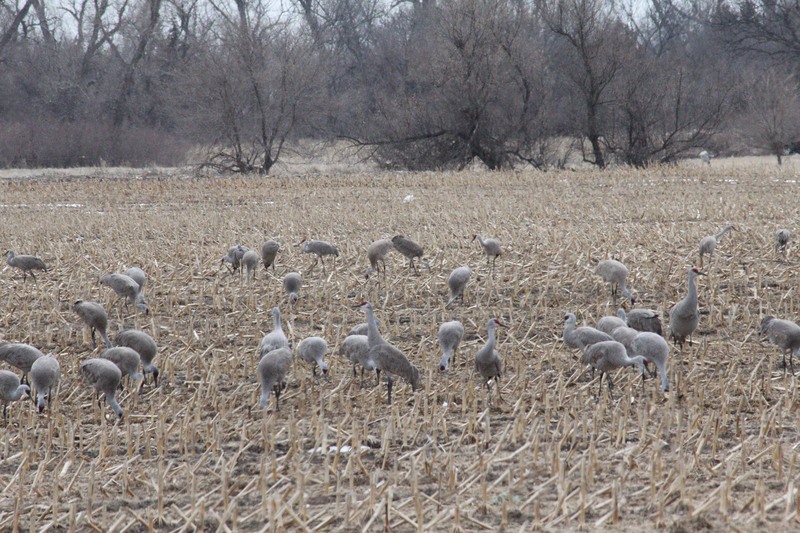 In case you are not familiar, every year between mid-February and mid-April, 80% of North America’s Sandhill cranes come to eat and bulk up in a 50 mile span of the Platte River in central Nebraska. The area is estimated to feed around 500,000 cranes. This year, the experts thought there were even more than that. Jane Goodall rated it as one of her top ten nature attractions in the world. 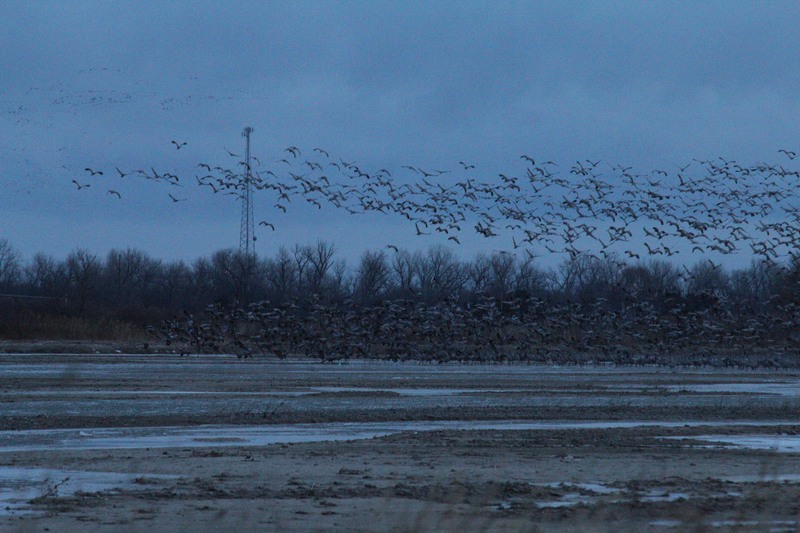 The birds spend every night in shallow water – the Platte River. It offers them protection because any predator could be heard splashing as it approaches. 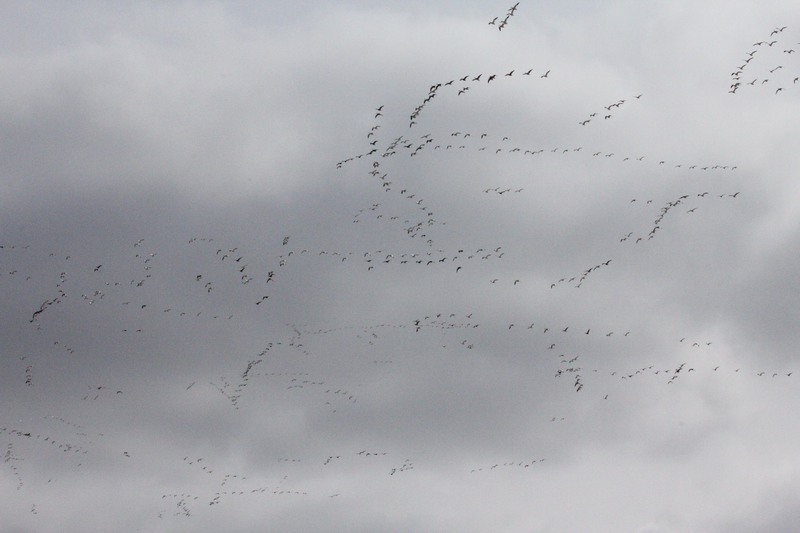 But during the day, the cranes spread out to all the local farmer’s fields. They will gain approximately 32% of their body weight in preparation for the rest of their journey. Eventually, the cranes will spread out over North America, including arctic Canada and Alaska and some will travel as far as Siberia to roost and lay eggs. The young will grow to full size in the summer and travel the whole distance back with their parents in September. Like many birds, cranes mate for life. Sandhill Cranes in flight. Keep in mind, these birds are almost 4 ft. tall. We spent time in a bird blind, waking at 4:30 am. This experience itself is almost supernatural. We awoke in the dark and joined others at the Rowe Audubon Sanctuary. It was 17 degrees outside with a straight 20 mph wind. The sanctuary has no lights outside, as that might disturb the birds. The guides walk you down the half mile to the river in pitch blackness, with an occasional red light so no one falls. Everyone must silently enter the blind making as little noise as possible. Unfortunately, on our day, someone the night before had used a flash camera and so the birds got spooked and were a bit of a distance from the blind. But as dawn approached, the birds began to stir. The sound is incredible. As they take flight, their sheer numbers are nothing short of amazing. During the day, you really see them everywhere. In the sky, in the fields. The behavior is fascinating, as they never seem to change. This has been going on for 600 years, maybe more. Watch the crane cam around 7-8 pm at night as they gather to rest, or 7-8am in the morning as they take off for the fields. You get a real feel for the auditory experience as well. The lesson for me is to recognize our role in nature. We belong, but we don’t own. We can celebrate it, but never control it. Peaceful harmony is the goal. And it only took 500,000 cranes to remind me. Sandhill Cranes eating in corn fields. Taking flight in the morning. My view from the blind.